This name means ‘to dominate over’ or ‘to subdue from above’. God says in the Qur'an: “And He is the subjugator (Al-Qaahiru) over His servants. 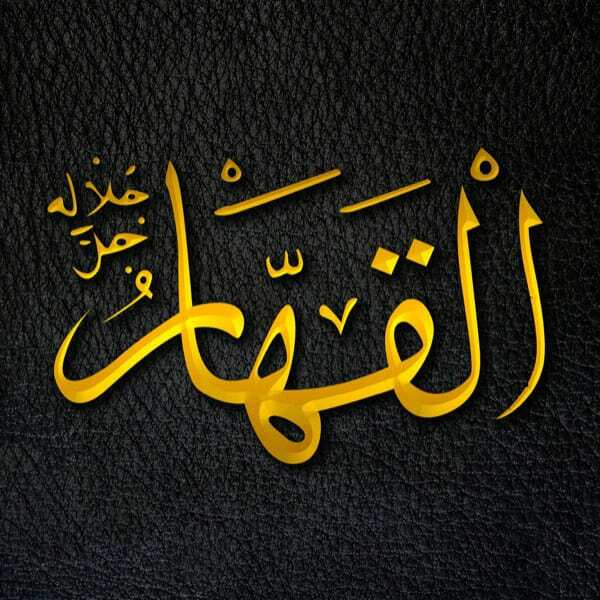 And He is the Wise (Al-Hakeem), the Acquainted [with all] (Al-Khabeer). (6:18) Someone with this attribute might be considered a tyrant, which is why God Almighty tells us that this attribute is possessed by the One who is also the Most Wise and the One who is Best Acquainted with everything. This reference is also for the benefit of those who doubt this attribute, and might ask “why has God not overpowered the tyrants of today, of whom there are many?” God Almighty is reminding us that there is ultimate wisdom in whom He chooses to subdue at any point in time.